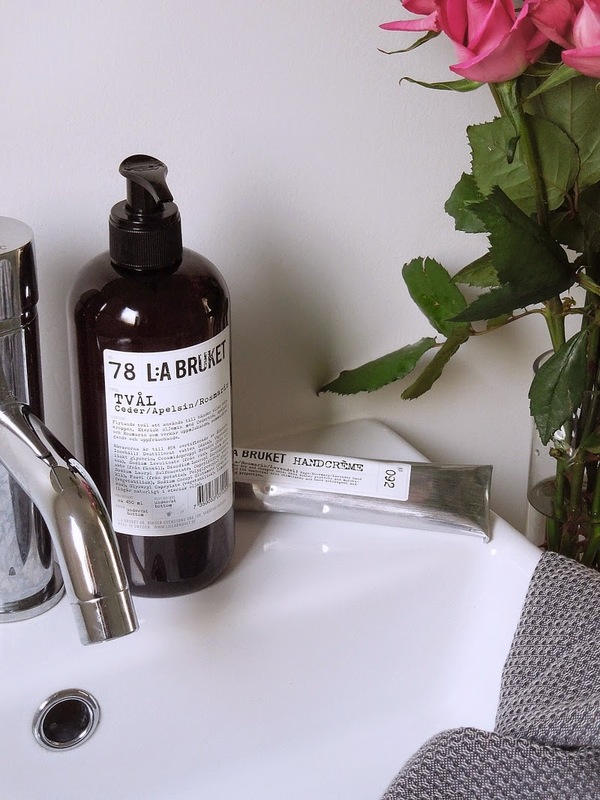 I have a few new bathroom items I want to share with you today. 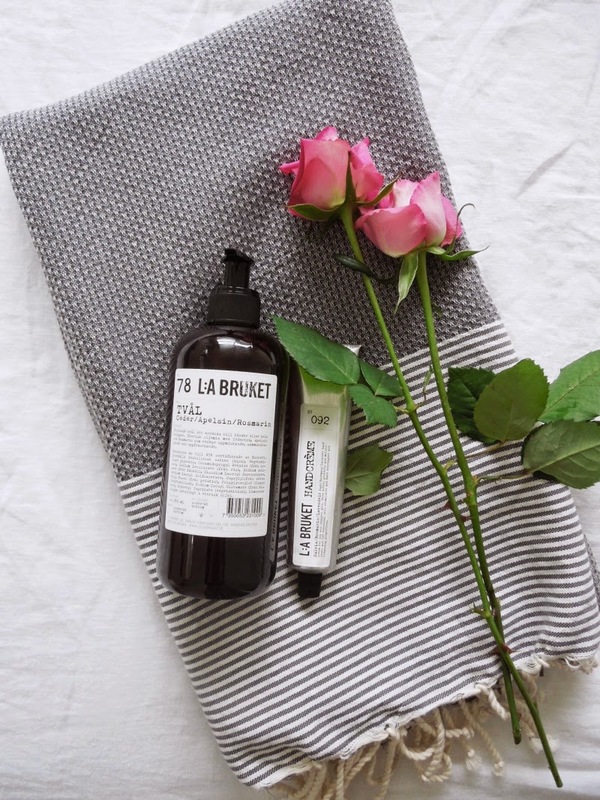 The first are products by L:a Bruket, a Swedish brand that produces beautiful, handmade soaps and spa products. Made from ingredients based on the best organic ingredients, they contain essential oils to soften the skin. Available for the first time in New Zealand, Indie Home Collective is now stocking both the hand and body wash and hand creme ranges. Like many, I am prone to sensitive skin especially in winter, so I am very particular about the products I use. L:a Bruket has certainly passed the test. Gentle yet effective, they smell divine and look gorgeous in our bathroom thanks to perfectly simple packaging. 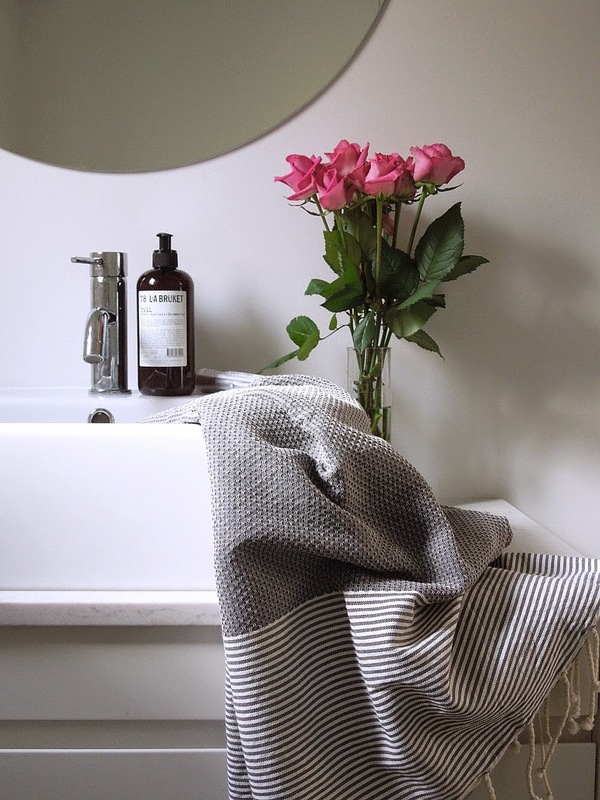 I also received a lovely new Fouta towel from Izzy and Jean Co in celebration of their first birthday. 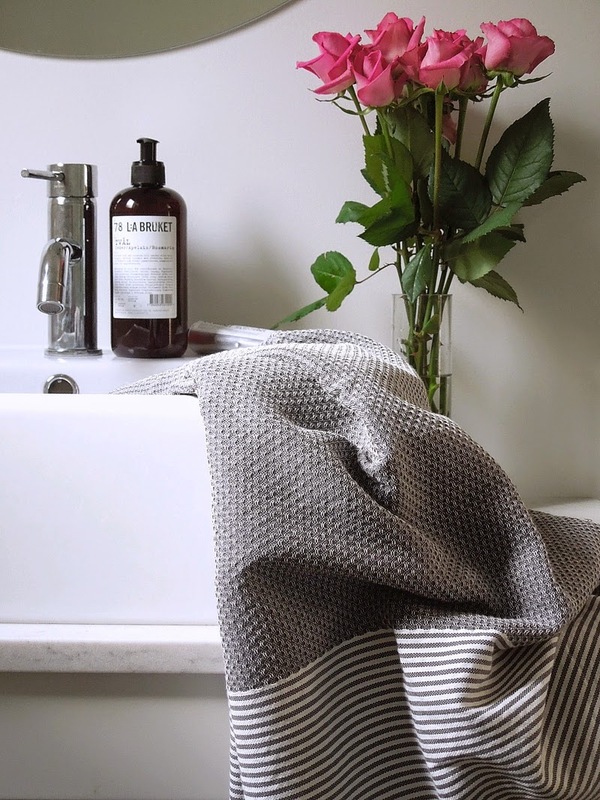 The NZ-based online store which I first introduced you to here stocks an amazing selection of affordable Fouta and Turkish towels. Mine is a waffle weave hammam towel, hand loomed by Tunisian women. I absolutely love the dark grey colour and stripes. I've said it before, but fresh flowers are a personal must-have in the bathroom, and while my go-to colour is more often than not white, today I chose some bright pink roses. It's a wet and dreary day here in Auckland, and the pop of colour has definitely lifted my spirits!